Get Involved at Kula School! ​For those of you who are new to our school, welcome to our ‘Ohana. I am your Parent Community Network Center facilitator, also known as PCNC. My job as PCNC is to be the liaison between the school and you, parents/guardians. Your involvement in our school is an extremely important part of your child’s success. The evidence about the positive impact of parent involvement on the outcome for children is so compelling. The support of parents in their children’s education plays an important role in their success not only in school but in life. Parents aren’t just volunteering to help in the classrooms and/or fundraising; their helping to raise the academic achievement level of children at their schools. An added bonus is that children of involved parents tend to do better in school. The majority of special events and fundraising campaigns are organized and implemented by volunteers who believe your child is worth the extra effort. Volunteering and helping at some of these programs and projects will give your child a more meaningful school experience and that should be motivation enough for anyone to share their time. Everyone is good at something, which means everyone has something to offer. How can you apply your skills and passions to your child’s school? I invite you to drop in one day and see all the great ways you can make a difference. My office is located upstairs in the two story building. Look for the cement ramp with railings. I look forward to seeing you all. Parent and community involvement enriches our keiki's education. Here are some of the many ways you can get involved. Know your child's teacher and friends. Read the Kula School newsletter. Jody Kele is the Kula Elementary School PCNC Coordinator. If you have questions about getting involved at Kula School, contact Jody. Aloha Friday Recycling: Kula School collects HI5 recycling items on campus one week each month. On the Friday of that month, volunteers empty the recycling bins and drive the recycling to a recycling center where Kula School will receive credit for the items. Location: Kula School. Time commitment: A few minutes to load your recyclables in your car and drop them off at school. Mahalo to David Jenkins for coordinating this fundraiser! Classroom Volunteers: Ask your student's teacher what is needed. Tasks range from reading with children during the school day to preparing materials at home to chaperoning field trips to planning special events. Fun Run: Help this fun day of physical activity, education about physical fitness and nutrition operate smoothly. This fundraising event occurs in the spring. Harvest Festival Event : All parents are asked to volunteer for at least one two-hour shift on the day of the festival. Volunteers are asked to work in food booths, game booths, the silent auction, assist with organization and volunteers, sell scrips, and many other assignments. To volunteer, contact Jody Kele, email: jody_kele@notes.k12.hi.us or phone: 808-876-7614. Kula School Work Days: Check the PTA calendar and watch for announcements about community-building activities that improve our school grounds. PCNC Office: Our Parent-Community Networking Center welcome help and volunteers, contact: jody_kele@notes.k12.hi.us or phone: 808-876-7614, for more information. Playground Volunteers: Keep our keiki safe on the playground and fields at morning and lunchtime recess. Contact Jody Kele, email: jody_kele@notes.k12.hi.us or phone: 808-876-7614, for more information. PTA officers and Committee Chairs: Contact Us kulapta@gmail.com about vacant positions on the PTA executive committee. Other PTA and School-Sponsored Events: Check the PTA calendar and watch for announcements about volunteering to help with other activities. Teacher Appreciation Lunch: Show our teachers how grateful we are by helping to set up, serve, and clean up this festive, not-to-be-missed event in May. 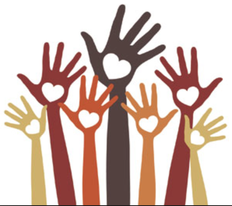 To volunteer for specific activities, see "How to Sign Up" on our PTA "Get Involved" page. and ad your email address to the school list to receive monthly School News Letters.